This type tube-in-tube sample water coolers can be used specific in high pressure sample in combination with high pressure cooling fluid. Liquid and gas analysers need a sample in a specific temperature range. When this temperature is different from your process temperature, a sample cooler is sometimes required. 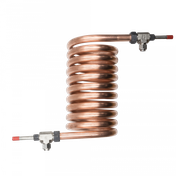 Available using single tube helical coil, multi-tube spiral tube, or tube-in-tube heat exchanger designs. Specific water chemistry could dictate different materials for improved corrosion resistance, e.g. Alloy 600 for high chlorides in the cooling water. 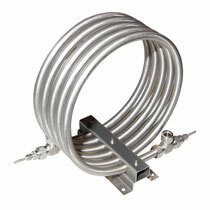 Sample coolers with NACE MR0175 or NACE MR0103 standards for sour gas or liquid (H2S) applications. To cover the difference in cooling requirements in the industry, Mechatest offers a wide variety of tube-in-tube sample coolers. Principle is a tube-in-tube spiral wounded principle. A variety of materials, diameters and lengths are available to suit most applications. 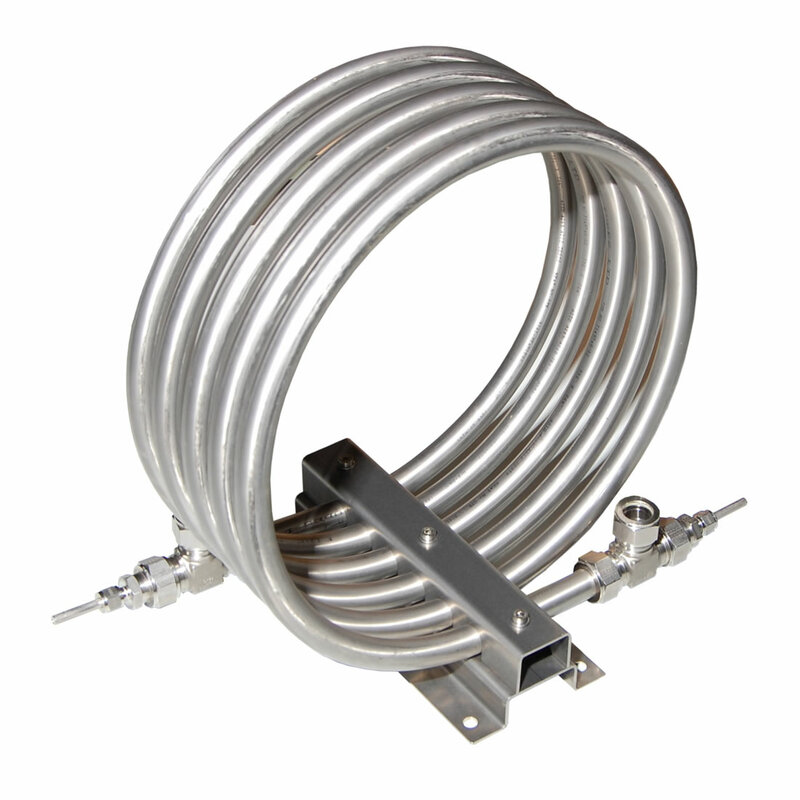 Based on the type of sampling product, process temperature and pressure, tube-in-tube coolers can be customized to fit the situation. We offer a width range of tube-in-tube sample coolers, Liquid and gas analysers need a sample in a specific temperature range. When this temperature is different from your process temperature, a cooler is mostly required. Mechatest tube-in-tube sample coolers are suitable for instrumentation, sample conditioning and analyser system applications.